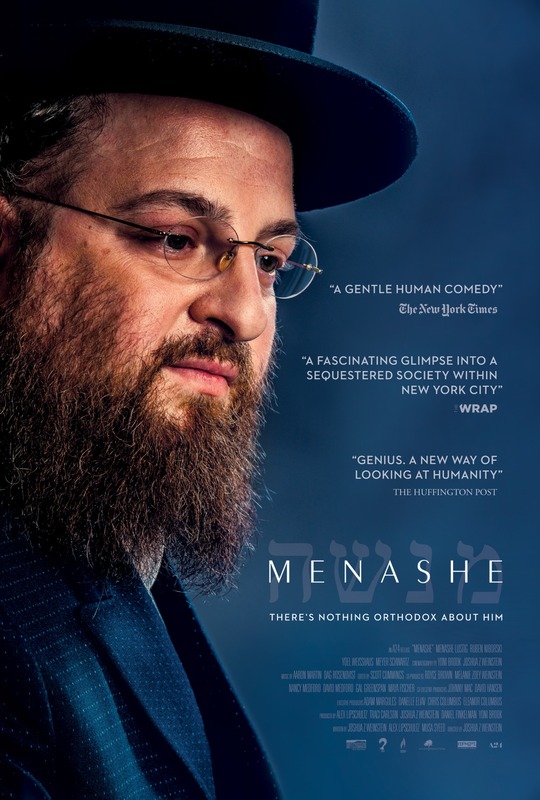 Set within the New York Hasidic community in Borough Park, Brooklyn, Menashe follows a kind but hapless grocery store clerk trying to maintain custody of his son Rieven after his wife, Lea, passes away. Since they live in a tradition-bound culture that requires a mother present in every home, Rieven is supposed to be adopted by the boy’s strict, married uncle, but Menashe’s Rabbi decides to grant him one week to spend with Rieven prior to Lea’s memorial. Their time together creates an emotional moment of father/son bonding as well as offers Menashe a final chance to prove to his skeptical community that he can be a capable parent.